Merge isn't as big a name as Oculus, HTC, Samsung or PlayStation, but it's been one of the most successful companies in augmented and virtual reality over the past couple of years. And it all started with a purple foam headset. Merge's VR headset has carved out a neat little place for itself in a mobile VR world dominated by Samsung's Gear VR and Google's Cardboard. It's done that for a number of reasons: the headset is extremely comfortable to wear; it's got a good selection of features, including adjustable lenses and a pop-out window for AR. And, most importantly, it's affordable and easy to use. We've seen a number of other manufacturers try to create great, affordable mobile VR headsets, but many of them have fallen by the wayside – or have stopped selling their headsets altogether. Jeremy Kenisky, Merge's VP of creative, tells Wareable it has also seen a lot of companies leave the space. 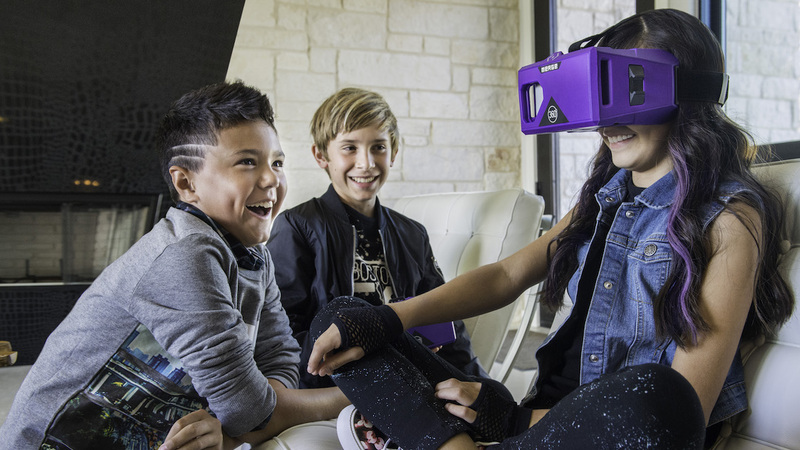 Kenisky thinks people have finally found value in certain mobile VR headsets, and have migrated toward those that have great experiences at fair prices. Those other headsets have therefore been left behind. "You have all of the terrible, cheap $2, $3 headsets that flooded the market last year. I think people kind of grabbed those, realised they're crap and threw them away. Those [companies] slowly went out of business themselves, which I think is ultimately good for the VR market in general," he said. "Giving people bad VR experiences doesn't help anyone in the medium or long term. Maybe they made a couple bucks but all they did was destroy a lot of consumer confidence in the market." How exactly do you build back consumer confidence? There's been a lot of talk near the end of 2018 that VR is dead and that interest is waning. AR, we've long been told, is the exciting future. The content bit is the tough part, as a lot of mobile VR is passive at the moment, with a lot of the experiences just being watching 360 videos. Part of that is driven by content creators, but it's also an input problem. High-end headsets like Rift and Vive have touch controllers, while mobile headsets don't usually come with that level of immersion. It's why Samsung introduced a remote with the last Gear VR, and why Merge also made a remote a couple of years ago, more recently making the AR Cube. Merge has also created its own app store, the Miniverse, which hosts around 40 apps and games, 10 to 12 of which are built by Merge itself. But is all of this too late? "I think a lot of people had mismanaged expectations. If you look at literally tens of millions of high-end devices have been sold and out there in the wild – that's a huge market. However inflated people's expectations were, maybe we're correcting those expectations at the moment." He says Merge is still forging ahead with new ideas and new markets. For instance, it's seen great success in the education space. Kenisky says education tech influencer Leslie Fisher discovered Merge and, more specifically, the AR Cube. She went to an education conference, featured it in her keynote and the Cube went viral.